I was really excited to jump into this book when I got it. I love Howard's writing (and am a huge fan of her Splintered series) so I was certainly expecting to love this. And while it was totally different than what I experienced in her young adult series, I was pleasantly surprises at the tone and overall plot of this story. I will be honest and say I didn't read the blurb to this book. I didn't really care what it was about, just that Howard wrote it! So I kind of jumped in blind. And when it started I was happy to find it had a historical theme to it. I don't often read historical books so I was interested to see where it went. And then all of a sudden there was a paranormal element and I was hooked! Just the premise of a friendship/relationship with a ghost was super intriguing to me! Juliet is a great heroine. 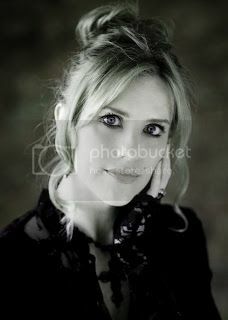 I really adored that her disability, her deafness, did not hold her back. She is relatable and even a bit ahead of her time in her ways of thinking. I like that she did not allow herself to be pushed around despite being a woman in the time during which this book took place. Hawk is our ghost. Though he doesn't know this information at first. And he cannot remember anything about his life. He and Juliet are determined to find out exactly what happened to him and how he died. Along the way, they uncover many truths, including those about Lord Thornton, the gentleman who is attempting to buy her childhood home and court her at the same time! I enjoyed watching the relationship between Hawk and Juliet bloom. I was really curious as to how Howard would make things work between them but she did find a way. However, Lord Thornton complicates things with a bit of a love triangle. And then when the relationship between Thornton and Hawk is revealed, BAM, that's really a kicker! Howard's descriptive ability is really wonderful. It was easy for me to see each scene she painted on the page and each character she revealed with her words. Her characters developed and grew allowing me to bond with them and gain their trust. And the supporting characters really did lend so much to the story. My only issues with this book was the pacing. I did find it slow at times. I really thought there were areas that were drawn out more than they needed to be, scenes that could have been eliminated to tighten the flow and make the story move. It made it a bit hard to see where the story was going. Told in first person point of view, Howard paints a true picture of what it was like to be a woman in a age when men really ruled the world. A woman trying to find her place and make sure she has a place for herself when she is all she has left. 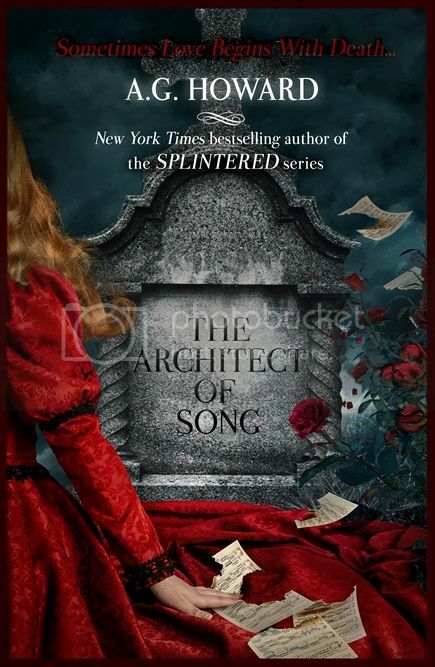 Many thanks for a chance to win The Architect of Song and those lovely swag! 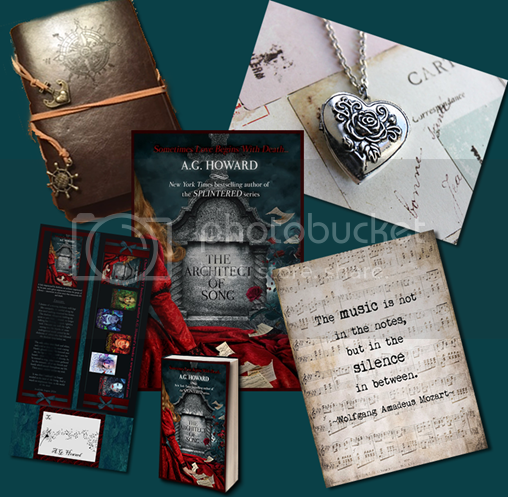 As I'm sure it is for all her newer fans, I Instantly fell in love with the Splintered Series thanks to a great friend who recommended it to Me.. and haven't put down an A.G. Howard book ever since! !